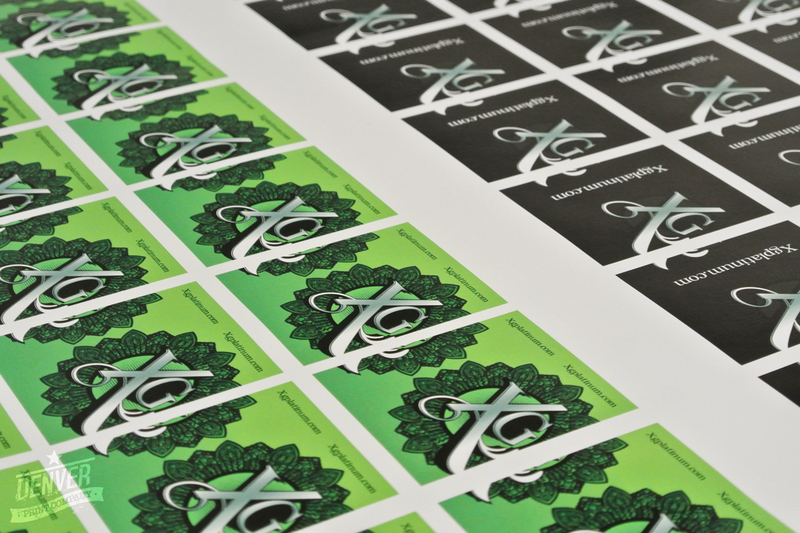 Stickers are one of the more popular items that we produce – Nearly ten percent of our orders are for sticker printing or label printing. 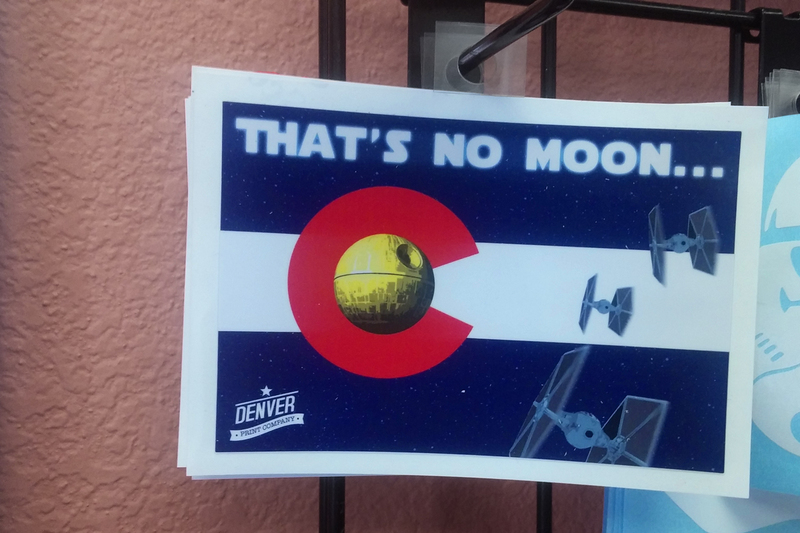 With our Mimaki print-cut wide format printer, Denver Print Company is capable of handling large and small runs of high definition sticker prints. As the name implies, this printer can print and cut stickers at the same time. Having the ability to print and cut at the same time is faster and cheaper. This savings get passed on to our customers. 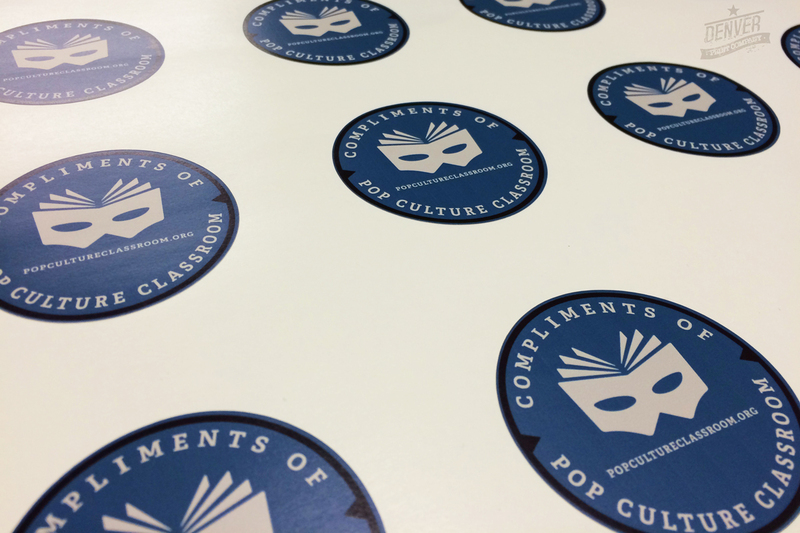 We take pride in the quality of our stickers, which means that we use only the highest quality and most durable vinyl. Any size, shape, or color sticker and can be produced, and we can deliver them to you individually cut, on a sheet, or custom cut. Sticker printing is pretty simple, right? While sticker printing seems like a pretty straightforward concept, the more one gets into the details, the more it becomes apparent that not all stickers are created equal. As you consider your sticker design, the first decision to make is on the cut of the sticker. Simple-shaped stickers, such as circles, squares, ovals, or triangles, are less expensive and have a faster production time. Custom cut stickers cost an extra $25 and usually take an extra day of production. This is because a graphic designer usually has to go into the art file and manually trace the line of where the cut should be. Depending on the complexity of the cut, this can be a very time-consuming process. Keep in mind, also, that there are limitations to how detailed the cutter is able to cut and to how narrow the vinyl can be cut without risk of tearing. Clear vinyl is a popular choice for stickers being applied to glass. This allows for transparency in the design, or for a design without white around the edges at less cost than a custom cut. 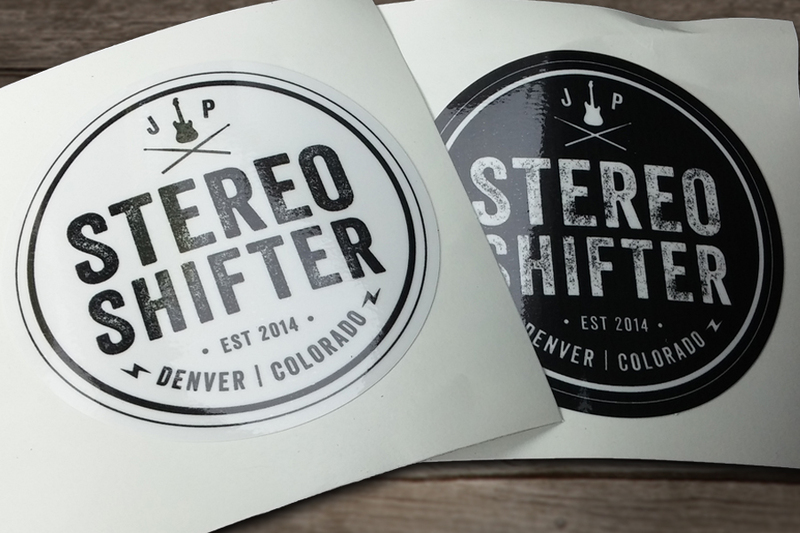 Reverse-print vinyl allows for the artwork to be printed on the adhesive side of the sticker. This works great for window stickers, as the sticker can be applied to the inside of a window with the design facing out. Yet another option is die-cut vinyl. Technically, this is not a material-choice option, as it uses the same type of vinyl as our standard print-on-white-vinyl stickers. 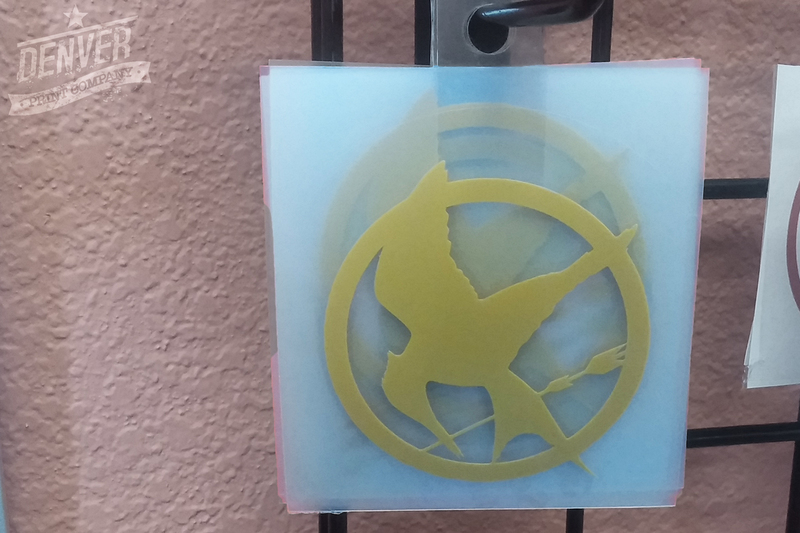 The difference with die-cut stickers is the color of the vinyl and the production method. There doesn’t have to be printing at all with this type of sticker, just cutting. A design, or lettering, is created in a single color or on top of a multi-color design and the outline of the design becomes the cut-line. The design is then cut out of a piece of pre-colored or printed vinyl. The process is sort of the opposite of creating a stencil. Vinyl is a relatively durable material on its own, but for a sticker to last outside for a long time, it should be laminated. If a sticker is placed inside and away from a sunny window, or if it is only intended for temporary use, you can probably skip the lamination. 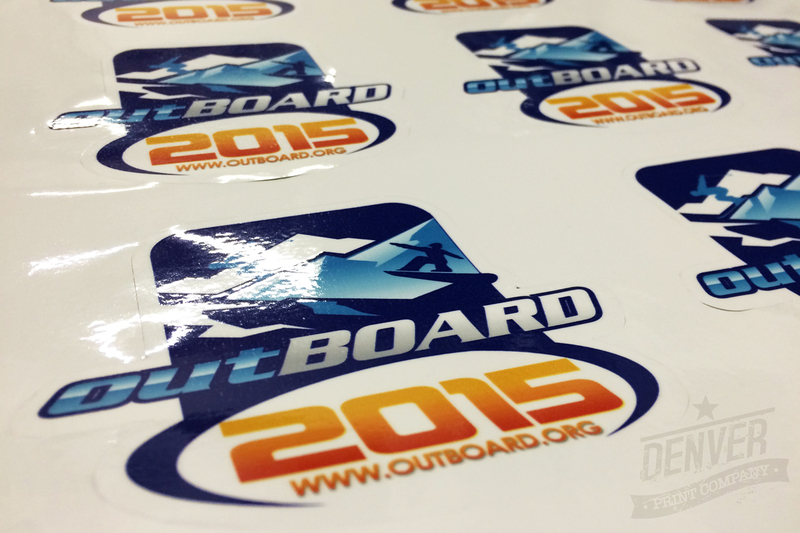 For any other scenario, we highly recommend lamination for your stickers. It will make them more water-resistant and more UV resistant. Un-laminated stickers are just as likely to fade in the sun as they are to peel off after getting wet. Label printing – What’s the difference? In reality, not much. Obviously, stickers are more graphics-oriented, often featuring just a logo or a few words, while labels are more information-oriented. Also, with labels, there is often less concern for long-term durability. Meaning, the desired lifespan of a label is usually less than that of a sticker. It only has to last from initial application until the trash can. For this reason, many companies decided to go with a paper-based label for their products. These are cheaper and will save you money when doing a large run. 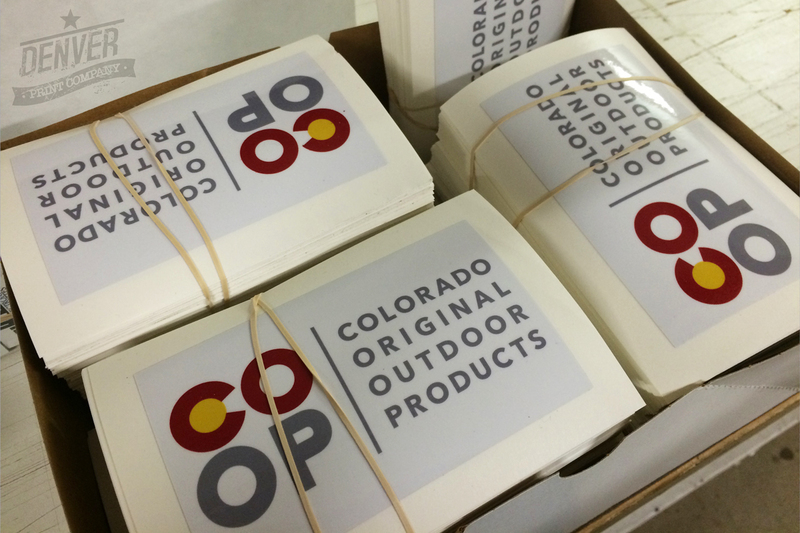 If you think paper labels are right for you, Denver Print Company can do that too. We have created custom stickers for new products like lip balms, soups, candy bars and energy drinks. 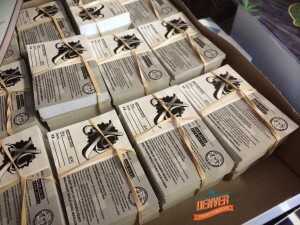 Over the last few years, we have even created stickers for marijuana edible products. 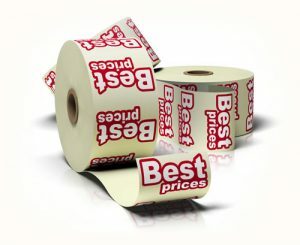 Stickers make a great low-cost label that allows a new business to test different labels before committing to larger offset sticker printing that has higher quantities and a much higher price point. With low-quantity and low-cost sticker printing, you can now test hundreds of designs before committing. This will save you a lot of money. Contact us today! Please check our labels page for more information. Stickers are great for guerrilla marketing campaigns. Business owners and marketers are always looking for ways to get their business out there and stickers are a great way to “go viral.” Giving each of your customers a sticker after making a purchase, or when they come visit your store, is a great way to have clients spread the word about your business for you. Complex or very small die cuts can be challenging for plotters. We recommend standard shapes for a higher quality product. Giving out stickers is a cool way to get your name out there. Adding a web address is a good way to drive traffic. Keep it simple. A good sticker will draw eyes with a passing glance. Allow your sticker to have greater impact by investing in professional graphic design. A killer sticker design can be of use for many years! Who uses labels & stickers?